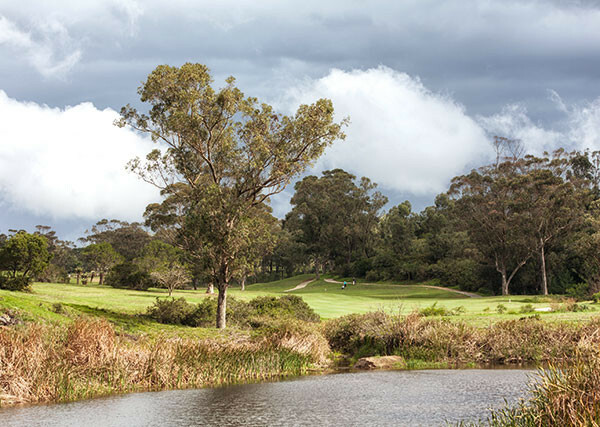 The Wedgewood Golf and Country Estate, on the western outskirts of Port Elizabeth, is no longer the grand old lady that Bob Grimsdell designed back in 1945. The course is now a modern Sean Quinn and Golf Data design that bears little resemblance to the original layout. It is short by modern standards, even for a coastal layout, playing at 5 844 metres off the club tees. What Wedgewood lacks in muscle, however, it more than makes up for in its demand of a very sound strategy – especially off the tee. Bombing your driver on every hole is likely to result in a scorecard littered with big numbers. It’s a thrill a minute, which has seen more than 18 000 rounds played in its first year. The original Wedgewood was something of an institution, and it hosted the GM Classic in the ‘60s and ‘70s. The likes of Gary Player, Lee Trevino and Seve Ballesteros walked its tree-lined fairways and it was here that Player played his 100th tournament. In the ‘80s and ‘90s and early into the turn of the century, Wedgewood was a regular host of EP Golf Union events, including the EP Amateur. With its six par fives, it was a terrific matchplay venue, and it is little wonder its league teams were virtually unbeatable at home. One of the endearing features of Wedgewood in the old days was the drive along a narrow, twisty road from the entrance off Old Cape Road to the clubhouse. In a matter of minutes, the outside world and a bustling coastal city just 25 minutes away were forgotten. Today, the drive to the clubhouse meanders in a similar direction, but from an impressive modern entrance with fingerprint-access control to a go-green building that houses a pro shop, halfway house, reception and restaurant. Two fireplaces provide warmth in winter and an abundance of stacking doors can be opened to allow cooling sea breezes in during summer. Hundreds of blue gums were felled to make way for the new Wedgewood and it is wood from these trees that forms the ceiling trusses, deck area and cladding on the new clubhouse. The wood for the benches and shelving in the locker rooms come from the roof trusses of the original clubhouse and every piece of wood burned in those two mighty fireplaces is from the course. There was a lot of clearing in three crazy months from March to May of 2013 and the stockpile of wood for those evening fires will last for years. Wedgewood has undergone a complete makeover since the original owner Peter Sobek sold the course to Pinnacle Holdings in 2008. Pinnacle then launched the Wedgewood Village and Country Estate to great fanfare and poured millions into its reconstruction and design with Golf Data. That dream all ended midway through 2009 when Pinnacle folded and for four years, Wedgewood stood idle. Golf Data pulled out, the fairways and greens, which had already been sampled by a select few, grew over, and the estate went into hibernation. The 13th hole is a short par four, measuring 330 metres, and is modelled on the old 16th. It’s a classic risk-and-reward hole. In January 2013, Wedgewood was resurrected with the acquisition of the loan account by the Cardinet Group. Golf Data bought the golf course from Cardinet for the princely sum of R1 and committed to redevelop the 18-hole championship layout along with the clubhouse. Things moved fast and in October of that year, the opening of the clubhouse, built by Global Construction, took place. Cardinet’s David Mostert was at the roof wetting and declared that it was on track for their grand opening on 6 December. As it turned out, Mostert was a few weeks out and two weeks later, selected guests played the new course for the first time. The cash register started ringing the next day when the course opened to the public. With the course having matured magnificently in its first year, it really has become a must-play for any golfing visitor to Port Elizabeth. The golf estate side of the development is also flourishing with 218 of the 420 golf course plots already sold and more than 20 homes are in varying stages of construction. Across the road from the back of the clubhouse, 50 lock-up-and-go apartments, aptly named The Wedge, have been built and there are also plans for a hotel. The fairways are cynodon, or kweek, and the greens are an A1/A4 strain of bent, exactly the same as Golf Data used in its upgrade of Humewood a few years earlier. 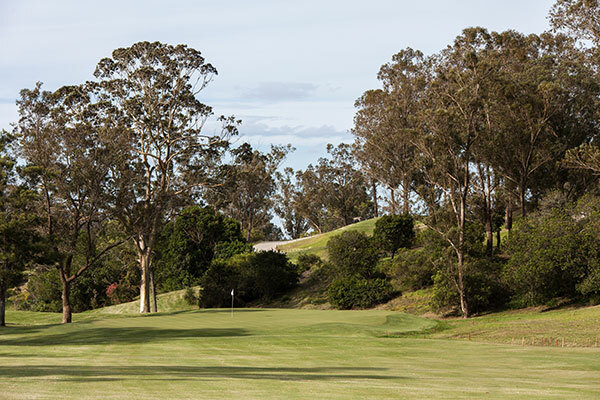 The gently undulating putting surfaces are flawless and golf superintendent Vernon Waters, who has worked previously at both Humewood and St Francis Links, likes to keep them running at between 9 and 9.5 on the stimpmeter. The routing of the new layout is such that whether the easterly or the westerly is blowing, most of the holes are played across wind. It makes Wedgewood very playable, even in the most brutal conditions. The two nines are also very different. The outward loop is reasonably flat with both the 1st tee box and the 9th green right in front of the clubhouse. The 1st is a gentle par four, followed by a lovely par five with a beautifully bunkered greens complex. The 3rd is a tough par three, measuring 170 metres, and requires a solid tee shot to a huge green guarded by several cavernous bunkers. The 4th is a lengthy par five that runs parallel to the boundary fence along Old Cape Road and, measuring 530 metres, is not stroke 2 for nothing. It demands a good drive, often played across wind, an accurate layup and then a precise third shot to a green guarded by water on the right. Water also comes into play on the closing stretch with a hazard all the way down the right-hand side of the fairway of the par-four 8th hole and in front of the green on the par-four 9th. The back nine is a lot hillier than the front and it is here that some of Grimsdell’s legacy remains. The 10th is a gorgeous par four, played downhill, with a deep creek running all the way down the left-hand side of the fairway right up to the green. At 320 metres, it requires only a hybrid and a short-iron, but its design is special – it’s routed almost exactly the same as Grimsdell’s 10th of yesteryear. Wedgewood’s closing hole is a par five of 453 metres that plays back up to the new clubhouse. So too Wedgewood’s signature hole, the par-three 12th, which is played downhill over a huge lake to a large green perched above the water. It’s only 148 metres long, but with the wind swirling through the trees, the tee shot needs to be precise – and the hole evokes images of the 12th hole at Augusta – minus the azaleas. The 13th is a short par four at 324 metres, but with water all the way down the right of the fairway and then crossing in front of the green, it’s a superb example of a genuine stroke 1 that doesn’t necessarily have to measure over 400 metres to be a challenge. These two holes, 12 and 13, have also been cleverly routed on exactly the same pieces of land graced by the old 15th and 16th holes of the original Wedgewood. It’s a nostalgic walk back in time for those who’ve had the privilege of playing both the old and the new course. The back nine continues to excite with another treacherous par three, played across a gorge, and several medium-length par fours that demand good placement off the tee and accurate approach shots to cleverly bunkered greens. The 18th is a classic risk-and-reward par five, measuring 453 metres. It’s easily reachable in two but an errant approach knows only one grave, and that’s a watery one. The 18th green is nestled directly below the clubhouse – it’s a fitting closing hole to a course that provides a memorable golfing experience and will have golfers checking their diaries to see when they can play it again. For a chance to win a four-ball at Wedgewood, click here. GETTING THERE: From the N2, take the Greenbushes turn-off. 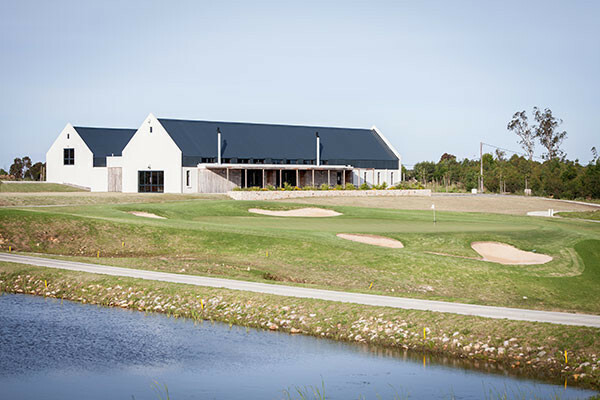 Turn left at the junction and you will find the Wedgewood Golf & Country Estate on the right-hand side. Wedgewood is a mere 20–25 minutes from Newton Park and Walmer and only 30–35 minutes on the N2 from the PE beachfront. ■ The country ambiance and the unique clubhouse with its uninterrupted views of the 9th and 18th greens and the 1st tee. ■ The new fleet of state-of-the- art golf carts equipped with GPS are an excellent touch because having the right yardage at Wedgewood is crucial. ■ The lack of one or two monster par fours – just to separate the men from the boys. Every journey to success begins with a powerful drive. At Mercedes-Benz, ours is simple: ‘the best or nothing’. The S-Class Coupé delivers that promise more absolutely than any other. But it was no easy task. It’s taken generations of innovation, of vehicles, and understanding to make a car that sacrifices nothing, and offers everything. The interior design of the new S-Class Coupé is an enthralling combination of sculptural, sensuous volume elements and components with high-class appeal, quality workmanship and exceptional touch and feel. The S-Class Coupé heightens the senses, so that the car’s interior represents the highest level of ‘modern luxury’. Welcome to the S-Class Coupé.